I am extremely lucky that at my age I have a full set of Grandparents on my maternal side in good health and independent. However, some of us at some point will have to think about the option putting our loved ones into a care home. 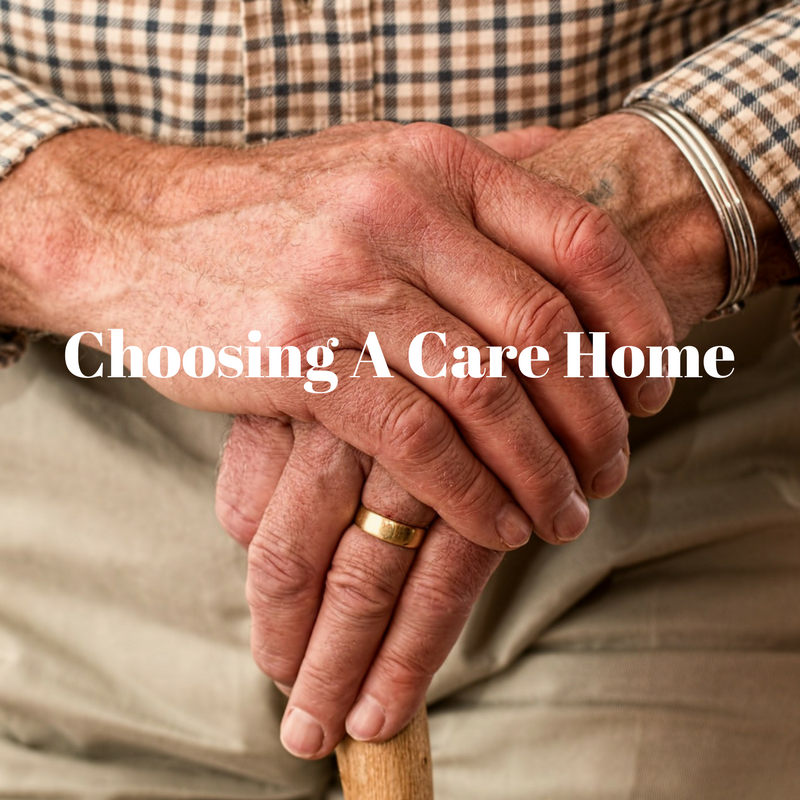 Of course there is a lot to consider when chosing a care home for elderly relatives with their involvement. You want to make sure they will be happy, safe and well looked after. Here are things worth while looking into when chosing a care home. Get a Needs assessment from Social Services, the assessment is free and will highlight what type of care and support they will need, the Social Worker will explain the options available. They will also see if you qualify for any financial support which would include completing a means tested asssessment. Check the quality of care, The Care Quality Commision is an established independent regulator for care homes in England. They undertake regular inspections of all care homes to make sure they meet government standards and can help find any areas for concern. In Wales the independent regulator is Care and Social Services Inspectorat and Scotland Care Inspectorate. Visit the home, it is vital to visit a prospective home on several occasions before deciding try and go at different times of the day and or week, just like when you are looking to buy property. Things you should look for include, do you feel welcomed? Staff interaction with the residents and each other, Do you see staff spending time with the residents or is the television on? Are the seating all the same size? Is there quiet spaces when residents can sit away from the communal lounge? as people have different needs. Do the residents look comfortable? Is there an event programme and Activities Organiser? Can you see residents taking part in daily life activities. What does the decor look?,look at the cleansliness of the home and the rooms, and most importantly WOULD YOU WANT TO LIVE THERE?